The 10 Best Japanese Restaurants in Puerto del Carmen Lanzarote - The 10 Best Japanese Delivery Restaurants Puerto del Carmen Lanzarote - The 10 Best Japanese Restaurants with Delivery Puerto del Carmen - The 10 Best Japanese Restaurants Takeaway Puerto del Carmen- The 10 Best Japanese Food Delivery Restaurants Lanzarote Puerto del Carmen- The 10 Best Dining Puerto del Carmen Lanzarote - Most Recommended Japanese Restaurants Puerto del Carmen - The 10 Best Places to Eat Japanese Food Lanzarote Puerto del Carmen. Teppaniaki Restaurants There are 12 products to choose from. 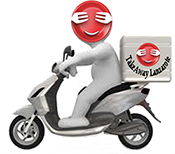 Takeaway Lanzarote - Restaurants Puerto del Carmen Best Asian Delivery Restaurants Puerto del Carmen Lanzarote - Asian Food Delivery Service across Canarias from Best Restaurants with Delivery Takeaways.